Issue: When users are working remotely and they attempt to plot drawings, the plotter is configured for a network plotter which they do not have access to when off-site. This causes the plotting process to take upwards of 15 minutes, wasting valuable time. 2. Once the tool is opened, create a new SETUP by right clicking inside the setup area. 3. There only 2 things we need to change here (Conversion package type & Set default plotter to none). Once setup is complete, you can start adding your drawings for conversion. 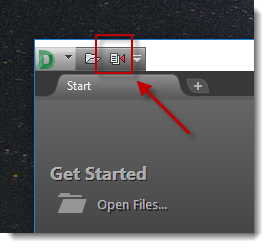 From the DWG Convert window, use the Add Files button at the bottom of the dialog. When drawings are added to the list, and they have xref’s attached, they will also come along for the ride. Uncheck any drawing that you do not want to convert (by default all of them are checked). Then click Convert. If you have any question regarding this process, please reach out to me at Darin.Green@synergis.com.